It goes without saying that strong vision would help prevent falls that lead to broken bones when you are older. Well, a new study confirmed that notion in a health breakthrough chronicled in the “Journal of the American Medical Association.” It seems that surgery to fix cataracts helps prevent hip fractures. 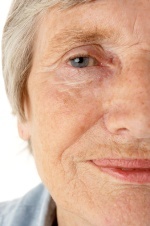 Read This Article to for some good news if you need cataract surgery. The study found that Medicare patients over 65 who underwent cataract surgery had lower odds of hip fracture one year later than those patients with cataracts who did not have surgery. Visual impairment is strongly linked to a higher risk of fractures, which is a potentially fatal issue for older adults. Vision is critical for posture, balance, and stability. But cataracts disrupt vision and are linked to postural instability. Plus, cataracts are the most common cause of fracture-related visual impairment. Despite all this, only a limited number of studies have examined the influence of cataract surgery on fall incidence in visually impaired adults. Between 2002 and 2009, more than 1,100,000 Medicare beneficiaries 65 years and older developed cataracts in the study sample. Of patients with cataracts, 37% had the surgery during the study period. In this period, the overall one-year hip fracture rate was 1.3% (or 14,000 people). The study found that cataract surgery delivered a 16% lower risk of this damaging hip fracture. In patients with severe cataract, the association between surgery and lower odds of hip fracture was even stronger, at 23%. Of those who had a fracture, 12% had osteoporosis. Essentially, the researchers suggest that electing to get cataract surgery may be linked to lower odds of suffering a bone fracture for older adults in the U.S. Future studies will help us more fully understand this link, and perhaps cement the issue. Cataract surgery is a cost-effective intervention for visual improvement. It could not only improve one’s quality of life considerably, but evidently may also shield you from a fall that could shatter a hip. So what is this surgery, by the way? In the procedure, the lens of your eye is removed and most often replaced with an artificial lens. A cataract is a condition marked by clouding on the normally clear lens. Eye doctors perform the surgery, usually in the hospital, but you don’t have to stay overnight or anything. It is exceedingly common and generally regarded as quite safe.